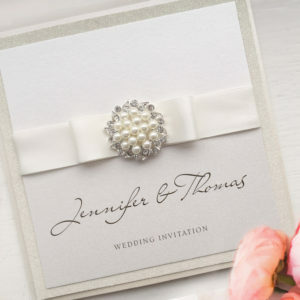 Going for sophisticated simplicity? 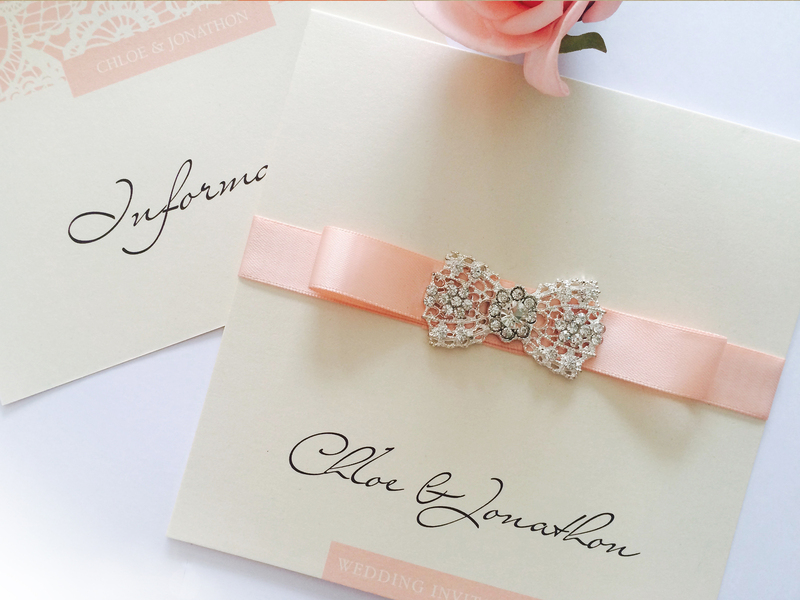 Then our Elegance Wedding Invites are the perfect choice. 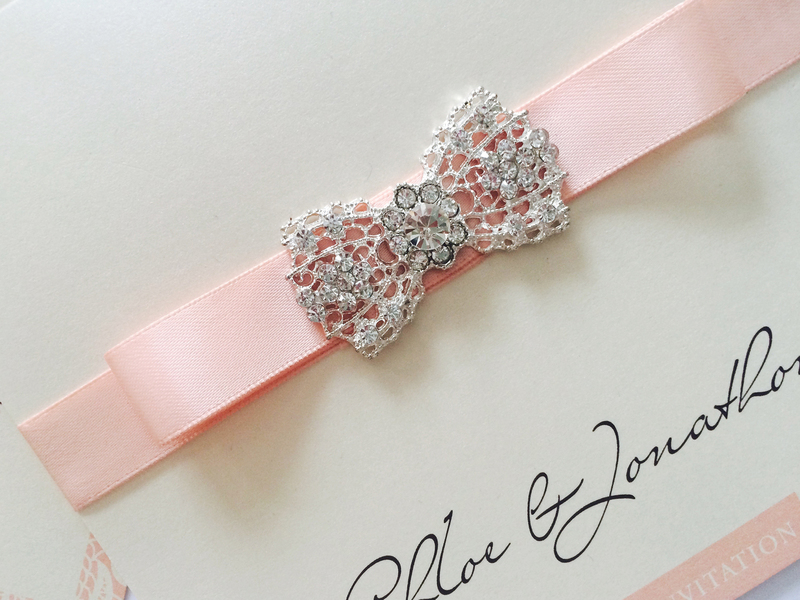 Here, they’re in cream and coral, but you can pick your colours to make them match your day perfectly. 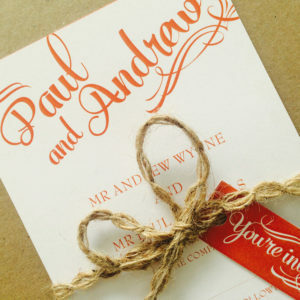 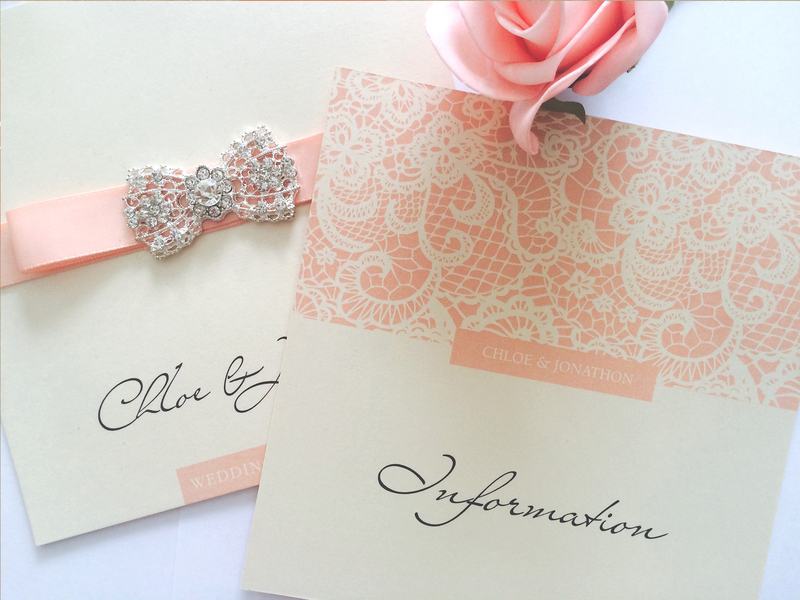 On the outside, a minimalist cream card personalised with the name of the bride and groom is brought to life with a coral ribbon and a diamante bow, while inside, a beautiful lace-pattern gives way to all the details of your day. 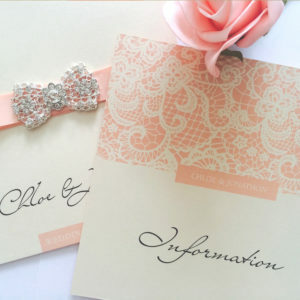 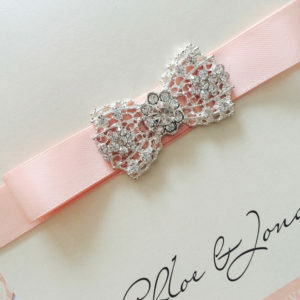 Our Elegance Wedding Invite look lovely in coral and cream, but we can make them in any colour under the sun. 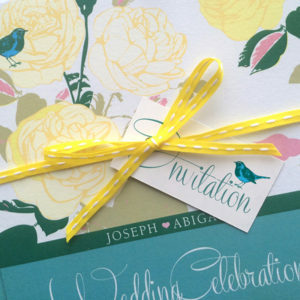 Just let us know what your wedding colours are and we’ll make it happen.